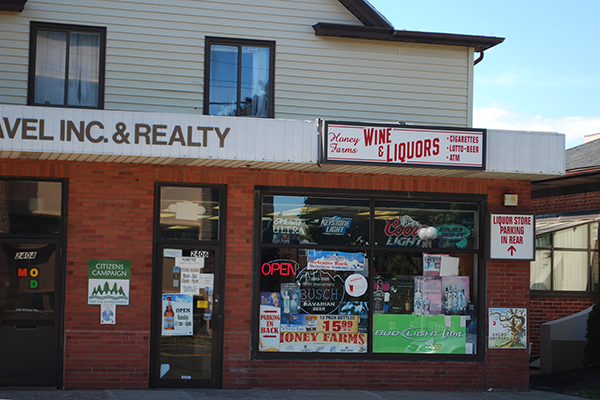 The Honey Farms Wine & Liquor on Whitney Avenue is temporarily closed due to allegedly selling alcohol to a minor. Honey Farms was fined $5,000 and suspended from Oct. 1 through Oct. 15 by Connecticut’s Liquor Control Commission for allegedly selling alcohol to a minor and refusing to cooperate with the case, according to the Penalty Notices provided on the Department of Consumer Protection’s website. On May 30, 2013, the Liquor Control Commission conducted a surveillance operation at Honey Farms, Director of the Office of Communication and Education for the Department of Consumer Protection Claudette Carveth said. In the surveillance operation, agents from the Liquor Control Division, which is the investigative branch of the Liquor Control Commission, observed young-looking people enter Honey Farms and leave with suspected alcohol, Carveth said. The Hamden Police then stopped the cars of the suspected minors. In the subsequent investigation, the Liquor Control Commission found that Honey Farms violated Connecticut liquor control statutes §30-86(b) Sale to minor and §30-6-A10 Refusal of cooperation. “It was alleged that the store owner hampered the investigation by providing misleading information as to the identity of the female store clerk on duty the day that the sales occurred,” Carveth said. This is the second time in the last six months that Honey Farms was fined and suspended for allegedly selling alcohol to a minor. Honey Farms was fined $750 and suspended on April 1, 2013, through April 3, 2013, for alleged sales to a minor. 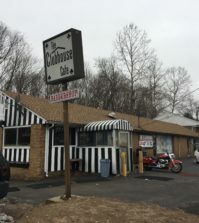 Since January, five other establishments in Hamden have also been fined and suspended by the Liquor Control Commission for alleged sales to a minor, according to the Penalty Notices provided on the Department of Consumer Protection’s website. These liquor stores include Cork & Barrell on 1648 Whitney Ave., Amity Wine & Spirits of 3300 Whitney Ave., State Street Spirits of 2644 State St., Snack Plus II of 75 Putnam Ave., and Cherry Hill Wine & Spirits of 1890 Dixwell Ave. According to Lieutenant Gabriel Lupo of the Hamden Police Department, it is difficult to determine why stores sell alcohol to minors. “More often than not, there’s fake identification involved, and so, if somebody has the proper identification and the store sells to them, it’s not really the store’s fault,” he said. If the police catch a minor with a fake identification, police confiscate the identification and fine the minor $150, Lugo said. However, the sale of alcohol to minors is a common problem, not specific to Hamden as a college town, according to Lupo. 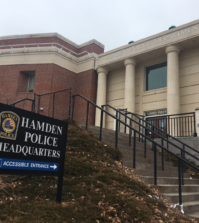 To prevent the sale of alcohol to minors, the Hamden police occasionally performs checks with the Liquor Control Commission and investigates situations when they get a tip. Surveillance operations are not the only way that the Liquor Control Commission catches stores that sell alcohol to minors. The Liquor Control Division also conducts compliance checks with local police and the Governor’s Prevention Program. In the compliance check, a youth volunteer who has been trained by the Governor’s Prevention Program tries to buy alcohol from a store or restaurant that sells liquor. If the clerk does not ask for the volunteer’s identification or does not pay attention to the date on the identification, the Division of Liquor Control agents speak to the manager and cite the establishment for alleged sales to a minor, according to Carveth. The Liquor Control Commission then holds a hearing to determine the penalty for the establishment, Carveth said. Generally, first time offenders are given a one-to-three-day suspension and a fine of about $250, Carveth said. However, if an establishment is charged with selling liquor to a minor multiple times, the fine and the duration of the suspension go up. This happened to Toad’s Place in New Haven, Carveth said. The establishment was shut down for a month one summer. The commission can take away an establishment’s liquor license, but it does not have a set number for how many times a store can be suspended before its permit is revoked. The Chronicle reached out to Honey Farms, but no one was available to comment.